20 minutes from skiing at Mt. 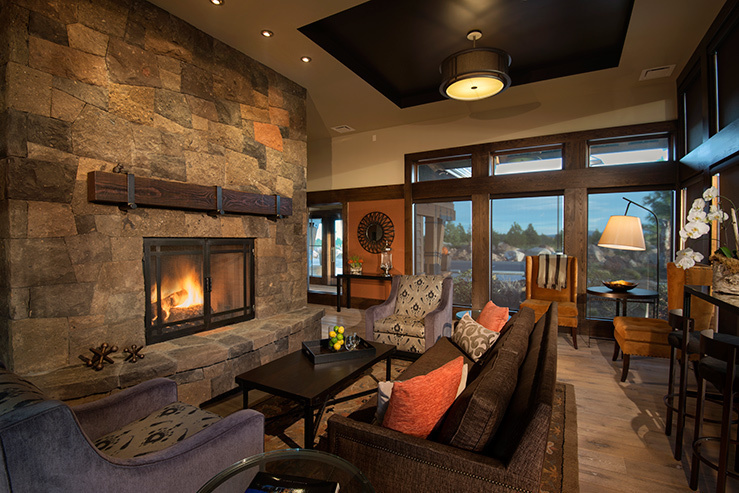 Bachelor and 8 minutes from downtown Bend, the just-opened Tetherow Lodges is fast becoming known as one of the best places to stay in this world-class recreation area. 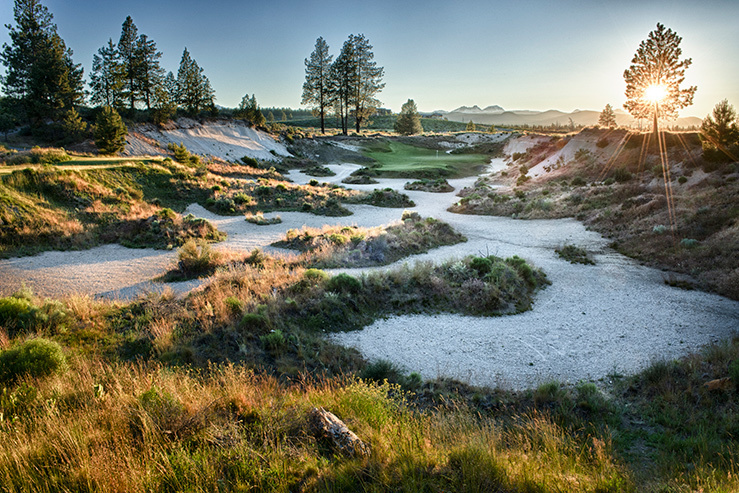 Cascade Mountain views, high desert sage, 300 days of sunshine a year: it’s an idyllic setting for golf, trail running, mountain biking, and skiing on the very fun, very unpretentious Mt. Bachelor. Best New Course You Can Play in the Country. Best New Course of the Year. Best Golf Course of the Best. Tetherow has won an almost unseemly number of plaudits for its golf course. All deluxe rooms and suites have gas fireplaces. Dog-friendly rooms are available: there’s an outdoor washing station for post-trail scrub downs and your pup gets her own doggie beer. You get beer, too. Or fine Northwest wine Enjoy your selection indoors in the casual-elegant dining room, or on the terrace. Cuisine is locally-sourced and local in character: try elk rack with pine-mint gastrique, creamy polenta, and apricot. 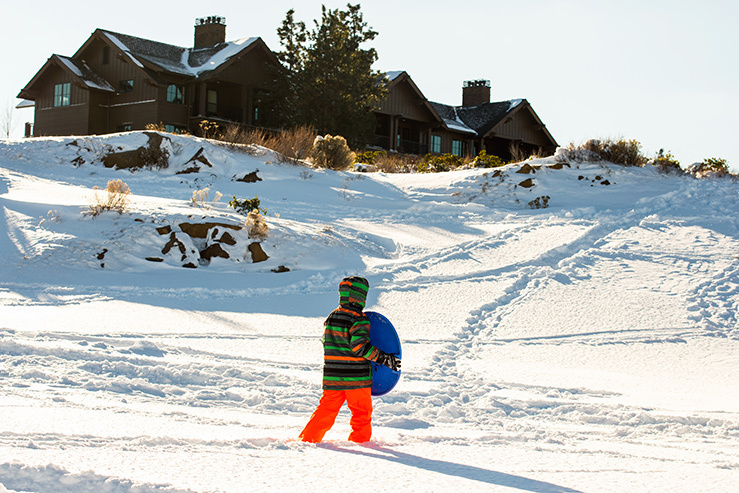 Serious skiing is just down the road—but an afternoon of sledding right outside your front door is serious fun. Design is the best kind of fancy: huge picture windows with mountain and night-sky views, pine beams and floors softened by rich carpets and deep armchairs. The Row features a different brewery each month. There are lots of big screens, and an après ski menu.